NOFA OLC wants to reach YOU! These days, we have more ways to communicate than ever with Facebook, email, LinkedIn etc. Surely, more than we all can manage! Monthly AOLCP e-news It comes right to your email address with a 40% open rate, but we would like to see more! I know you are all making an impact on the environment by creating and maintaining organic landscapes, and we want to hear about it and share the great news. So send us your accomplishments and we will share, post and write about them - making NOFA OLC stronger across the country! Thank you to our Annual Gathering Sponsors! Please click here for your sponsorship, advertising and exhibiting opportunities to reach new customers. Contact Linda for more information and details. For a our flyer click here. Don't forget - Refer a friend to the Accreditation Course and get a $25 OLC credit! 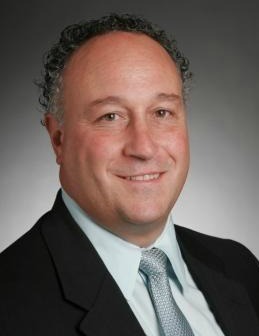 For Mike McCleese, finding NOFA was like "fitting into an old shoe." 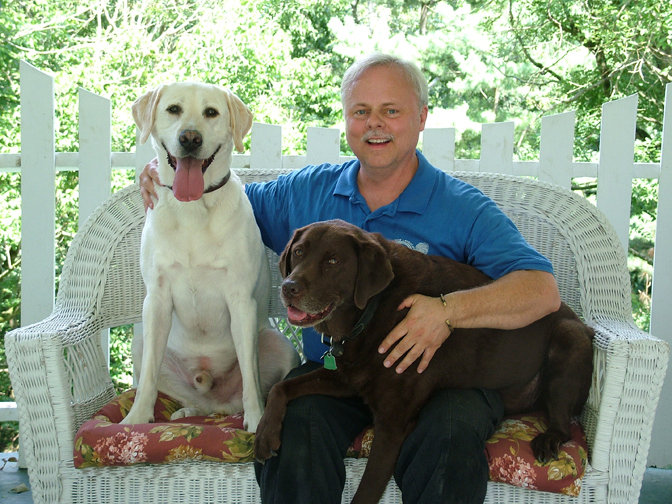 His Cincinnati-based landscaping company was non-chemical but all of the pieces weren't coming together until he found himself ensconced in the Rhode Island accreditation course in 2006. "I can't tell you how happy I was. In some ways it was like winning the lottery," he said, admitting his reservations. "I'd been in the business for several years at that point and realized that sometimes there's a big difference between lofty goals and making a living. But what I found at NOFA was a whole lot of people just like me, trying to make organics work for their businesses. Spending a week with people at an OLC workshop was like slipping into an old pair of comfortable shoes." Another AOLCP doing good things! 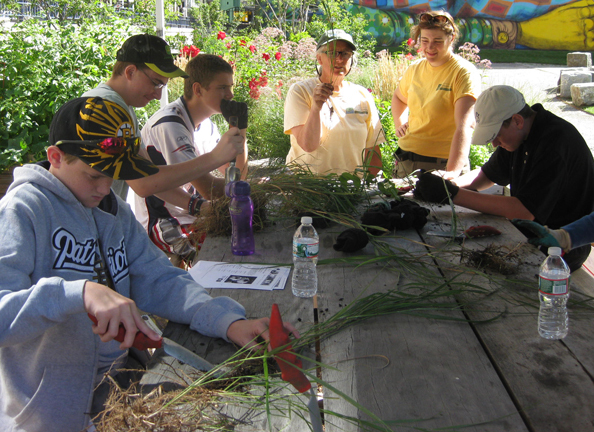 In July students came together for 4 days from the Learning Prep School Horticulture Program in Newton, Ma and the Rose Fitzgerald Kennedy Greenway, Green and Grow Program to learn about organic landscapes. Teachers from each organization taught everything from soil analysis to plant identification and design. The course took place on the RFK Greenway and at the campus of the Learning Prep School. 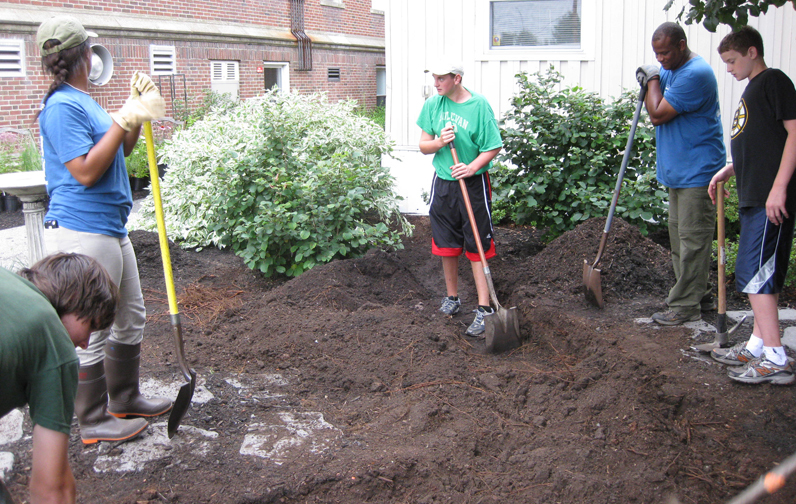 As a final project the students used their training to build a rain garden on the Learning Prep School Campus. This is the 3rd year Peter Hinrichs (AOLCP) has run the program for students who are 16 -18 years of age who have interest in the green industry. 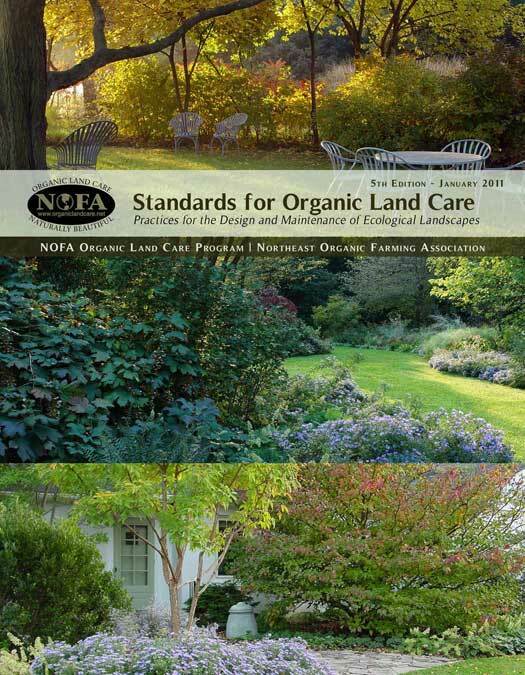 The program uses information from the NOFA Standards for Organic Land Care as a basis to teach them, through a hands-on teaching approach, how to use the natural environment as a guide to building, maintaining and understanding the built environment. This year 12 students went through the program and all received Organic Apprentice certificate which they can add to their resume and credentials. 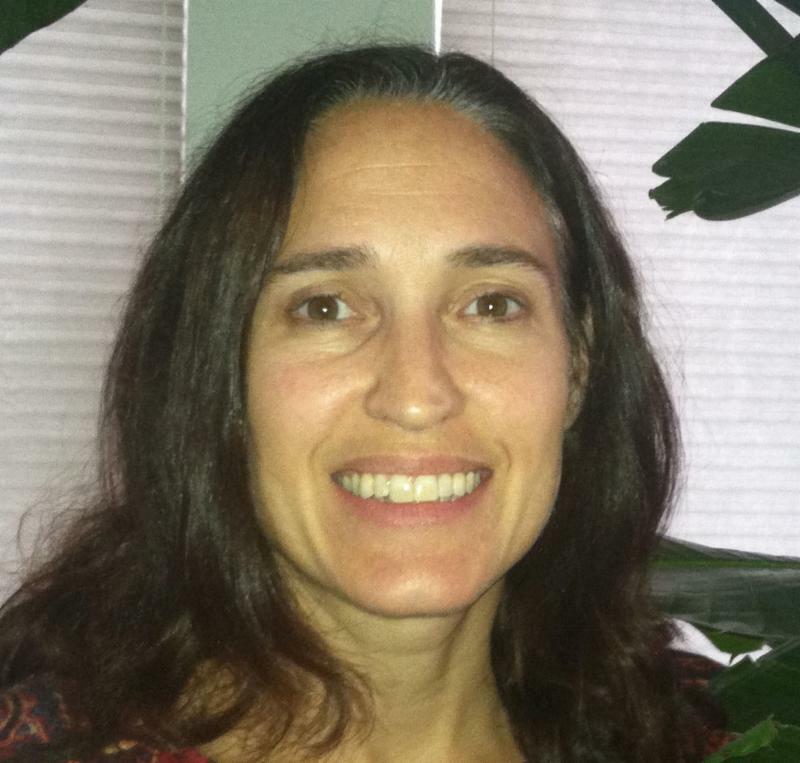 "The goal is to create interest and basis for understanding early with young people to excite them about the field and the opportunities that are out there", says Hinrichs. Have you earned your 4 credits yet this year? Have you reported your credits yet to NOFA OLC? Business members, don't forget you have access to free ad templates for web and print! Check out our NEW AD CAMPAIGN to promote you! receive discounts when shopping with participating businesses. Businesses- reach new customers by offering discounts! New businesses will be added monthly. Click here to see the full list of participating businesses. If you want to become a participating business, click here. 25% discount on consulting fee for first time AOLCP clients. 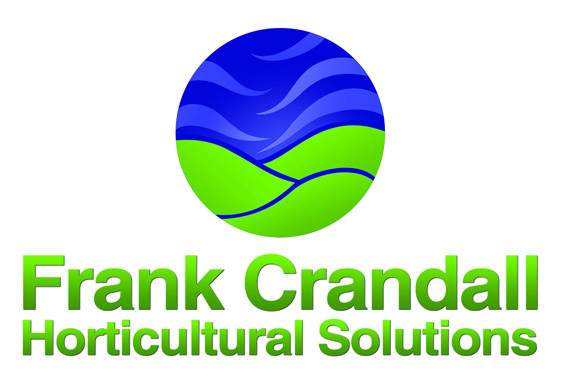 10% off all compost tea supplies and turf/garden products (minimums apply). Bulk earthworm castings, Compost Tea Microbe Food, Turf Rescue, liquid fish hydrolysate, and our garden barrels are our best sellers. The Mission of the NOFA Organic Land Care Program is to extend the vision and principles of organic agriculture to the care of the landscapes that surround us in our daily lives. 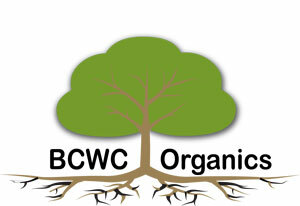 Organic land care is a sustainable ecological landscaping system that promotes and enhances biodiversity, biological cycles, and soil biological activity. 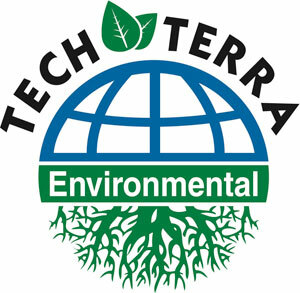 It is based on minimal use of off-site inputs and on management practices that restore, maintain, and enhance ecological harmony and beauty in urban and suburban landscapes and gardens. 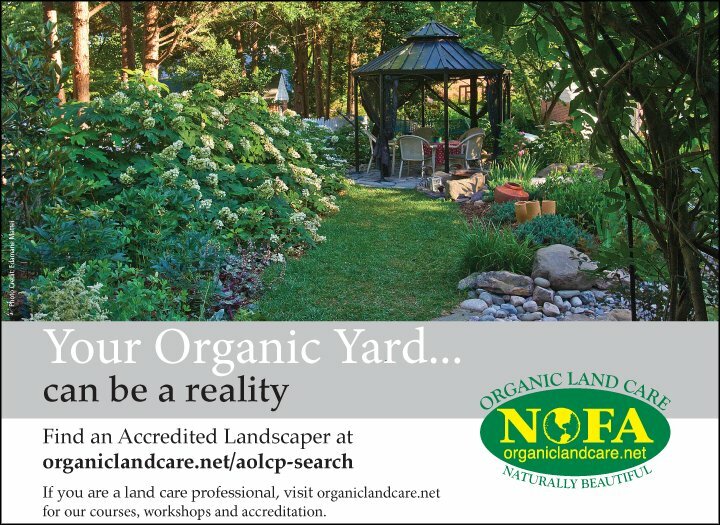 "Organic" means landscaping with no synthetic pesticides of any kind (insecticides, herbicides, fungicides, etc.) and with no synthetic fertilizers or soil amendments. 1. Principle of health. Organic land care should sustain and enhance the health of soil, water, air, plant, animal, human, and planet as one and indivisible. 2. Principle of ecology. Organic land care should be based on ecological systems and cycles and should work with them, emulate them, and help sustain them. 3. Principle of care. Organic land care should be managed in a precautionary and responsible manner to protect the health and well-being of current and future generations and the environment. 4. Principle of fairness. Organic land care should build on relationships that ensure fairness with regard to the common environment and life opportunities. Fairness is characterized by equity, respect, justice, and stewardship of the shared world, both among people and in their relationships to other living beings. 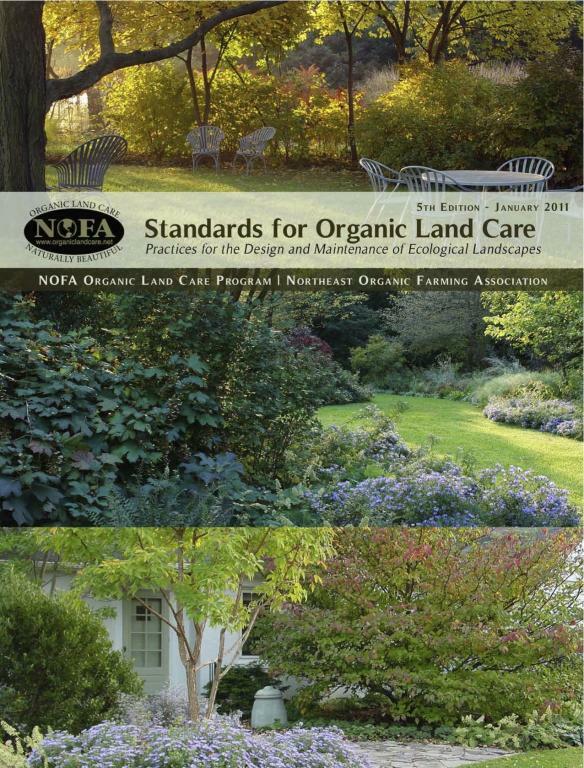 This selection is from page 1 of the NOFA Standards for organic Land Care.